Kent Reliance Mortgages specialize in bespoke solutions and complex income cases. 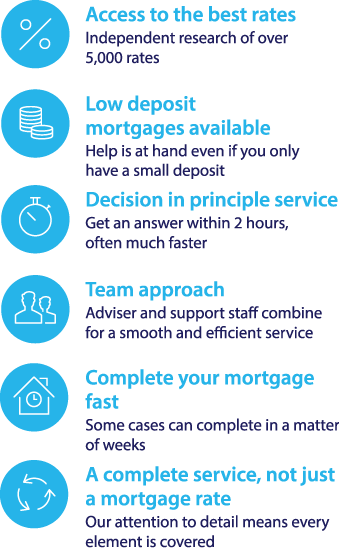 To investigate your mortgage options including Kent Reliance call our mortgage team on 0117 313 7780 or fill in our call back form. Kent Reliance Building Society offers a selection of mortgage deals at up to 90% loan to value (LTV), which could be especially helpful for first time buyers or those who are having trouble saving up a large deposit. Kent Reliance offer products for buy to let, shared ownership and residential mortgage deals. You can compare Kent Reliance Building Society mortgage deals with over 5,000 of the latest mortgage deals on the market using our FREE online mortgage calculator. Fixed rate mortgages – this type of mortgage offers the security of a fixed rate of interest for a specified period after the mortgage starts, which means that you can budget for your payments easily. Standard variable rate (SVR) mortgages – these mortgages track Kent Reliance Building Society standard variable interest rate for the term of the mortgage. Discount rate mortgages – these mortgages offer a set discount on the Kent Reliance Building Society SVR for the term of the mortgage. Remortgages – replacing your existing mortgage deal with a different mortgage deal from Kent Reliance Building Society could help you to get a lower rate of interest. The Kent Reliance Building Society was formed in 1986, incorporating Chatham Reliance Building Society, Dover District Building Society, Herne Bay Building Society, and Kent and Canterbury Building Society. In 2011, Kent Reliance Building Society became part of OneSavings Bank plc, but retains its original brand and continues to offer a wide selection of mortgage deals. To compare Kent Reliance Building Society mortgage deals with other leading mortgage rates and find the best deals for you, use the mortgage calculator to search over 5,000 mortgage offers based on your personal circumstances. Call our mortgage broker team to discuss Kent Reliance mortgage options on 0117 313 7780 or request a Callback.